Columbus, Ohio native Kasey Wilson always wanted to do something technology-related. “I tend to enjoy things that are challenging and have mobility,” recalls Kasey. But it wasn’t until she saw flyers sprawled out on a table at Centennial High School, where she would discover an organization that would not only challenge her abilities, but ultimately change her life. Kasey’s involvement with TECH CORPS didn’t stop there. Two years later, she received a call from them asking her to apply to become an instructor for the Student WEB CORPS, Summer Youth Employment Program and has been involved ever since. She now had a chance to “be an advocate for girls” who were once like her and expose them to the exciting field of technology. While some high school students may be unsure of what they want to study in college, Kasey already had her mind set on what she wanted to do. 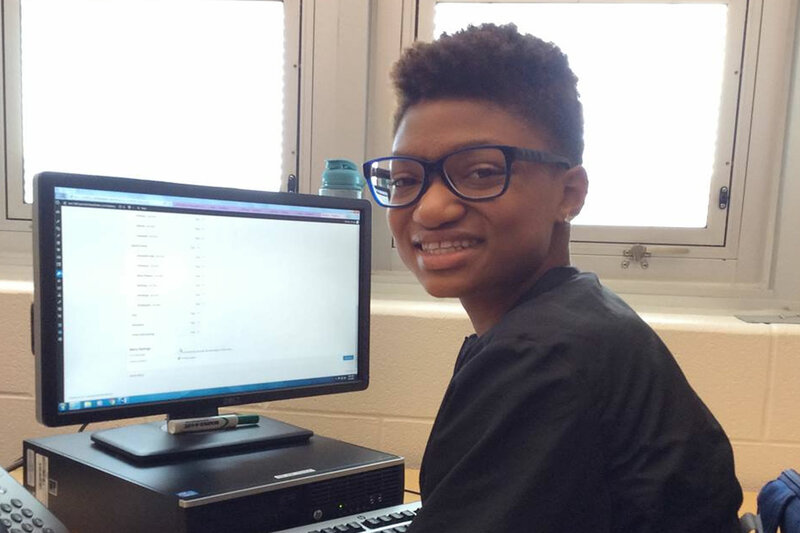 During her last year at Centennial, she participated in the Seniors to Sophomores program, “which allows high school seniors to take college classes while in high school and enter college as a sophomore.” She then attended Ohio Dominican University and double majored in Software Engineering and Computer Information Systems. Kasey made history by becoming the first African-American and woman in the school’s Software Engineering Program. While in college, she had the opportunity to participate in the JP Morgan Code for Good Challenge, a one-day project where she worked on a team to create a model application for a nonprofit. This opened the door for her and she secured an internship with Chase’s Software Engineering Program, a chance for her to acquire new skills and develop a global network of support to advance her career. She graduated from Ohio Dominican in May 2018 and has transitioned from intern to Software Engineer at JPMorgan Chase. Because there is not a large representation of women and minorities in technology, Kasey offered these words of encouragement to those who may be hesitant to pursue it – “You can do whatever you want. It’s not easy, but it’s most definitely worth it. Take every opportunity offered to you and take advantage of anything that will help you pursue your dreams.” Fortunately, TECH CORPS was there to expose Kasey to a world that was once foreign to her but is now familiar. This once shy and quiet girl has blossomed into a powerful young woman in tech. She notes that it’s not about what you already know, but how willing and interested you are in learning. We agree, Kasey!